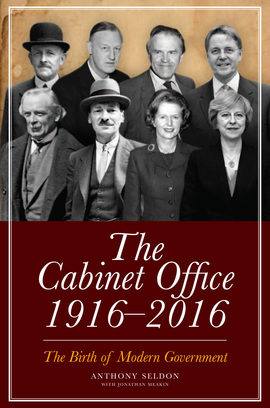 Since its creation in the depths of the Great War in December 1916, the Cabinet Office has retained a uniquely central place in the ever-changing political landscape of the last century. While the revolving door of 10 Downing Street admits and ejects its inhabitants every few years, the Cabinet Office remains a constant, supporting and guiding successive Prime Ministers and their governments, regardless of their political leanings, all the while keeping the British state safe, stable and secure. It has been at the centre of everything – wars, intelligence briefings, spy scandals, disputed elections, political crises – and its eleven Cabinet Secretaries, ever at the right hand of their political masters, have borne witness to them all. The true ‘men of secrets’, these individuals are granted access to the meetings that determine the course of history, trusted with the most classified information the state possesses. Written with unparalleled access to documents and personnel by acclaimed political historian, commentator and biographer Anthony Seldon, this lavishly illustrated history is the definitive inside account of what has really gone on in the last 100 years of British politics.